Now that the Nokia Lumia 630 is officially available, and can be found for pre-order in some other markets, that means that Windows Phone 8.1 is on the scene for the masses. If you have been about updating your existing Windows Phone from 8.0 to 8.1, the process is simple, and you definitely would not be alone. The “developer preview” is really more of an enthusiast program, and 8.1 has surprisingly few bugs. That said, if you are ready to take the plunge, make the switch, do the upgrade, or buy yourself a shiny new Lumia 630, the team at Windows Phone saw you coming and put up a couple no nonsense videos to help dip your big toe in the waters. The first is your basic “getting started” summary. 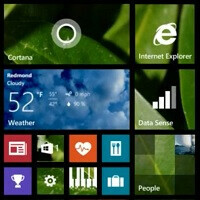 If you are new to Windows Phone, it will at least open the door for you. The second video gets into Cortana, Wi-Fi Sense, and some of the other neat personalization features. Naturally, the notification action center is covered. All the other basic controls are covered, from the new keyboard to volume controls. So, what has been holding you back? Are you picking up Windows Phone 8.1 anytime soon? I'm coming to u 930.....making me so excited to join Nokia family again after my beautiful N8. Who needs those apps when you have the full desktop web page to use? The only apps I use greatly in my Lumia 925 are Internet Explorer 11, Facebook (because notifications launch the app now in 8.1 rather than the web page, sadly), Office/OneNote/OneDrive, and games. Why I am not surprised to see you being the first Android fan boy on here commenting bashing the platform, you don't have a Lumia 1020 so don't lie and pretend that you do. If you did you would know that WP has tons of major apps and games. Please tell us the apps that you're missing on Windows phone. Asphalt 8 has been available on WP8 for a while. Who cares what's there, or not there... The fact is that most users are NOT obsessed with apps like this troll is, and not everyone plays games.. .. We have the apps we need, and everything is fine.. Just ignore the handful of pathetic trolls on PA..
well, once one wants one app and that one finds out that one app he wants is not available for Windows Phone, he's gonna be a little frustrated. Life goes on... I'd rather use a great platform for whatever reasons I like it, and be missing a few apps, then not... Who cares? Not you, obviously. xD But yeah, for someone who doesn't care about some of the apps and games WP is missing, there should be no problem. My bank app? My Orange account app? My File Explorer (to do what I want with my files)? My flying operator app? Hangout (where my family and friends are)? My mobile print app (the only one which is working with my wifi-lan printer)? My mobile office app (I don't like the terms of MSOffice)? Whant more? This is the routine of my life. Your apps not everyoens apps... Bank app? Have you tried the website? I dont have a bank app, yet i have been able to deposit, pay bills, transfer money, bank...zomg everything a pc can do, imagine that... File explorer? I guess, and yes you will have that soon, in fact there are some file explorers already in the store. Hangouts...great a google only service, talk to google not MS. That is like asking why your chevy doesnt have a powerstroke, you just went full derp. Also my family is on skype...imagine that. Print app? what device? my printer allows email printing to the device, i would recommend that if yours doesnt have an app. Mobile off app, again talk to the developer not MS, dont like the terms of MSOffice i would put the terms side by side and probably see the same restrictions, nothing new. What is your office app of choice? Everything you have stated is part of my routine... Everything you do, i do with different apps and guess what...my wp is no less productive than my note 3 imagine that. Actually he always praise Windows, just because he didn't he didn't find anything interesting in the 8.1 doesn't mean he bashing the OS. Stop being a sheep and accept other's opinions. You got to be kidding, right??.... The guy who says that everything MS makes is crap, except for W8?? That guys the one you're talking about? He says that MS should give up on WP because it's crap.. Is that praise to you?.. Is that true? C'mon now, don't hate on Arte. He's my buddy. He only trolls on WP to mess with me. But in reality, he's one of the biggest WP fans you'll ever find! Once they allow for 3rd-party keyboards like Swiftkey, then I'll consider the switch. I cannot stand the Windows Phone keyboard. What WP version have you got...8 or 8.1 ?